For kids, guitar playing is a fun prospect, but perhaps a guitar is a little too large to hold. 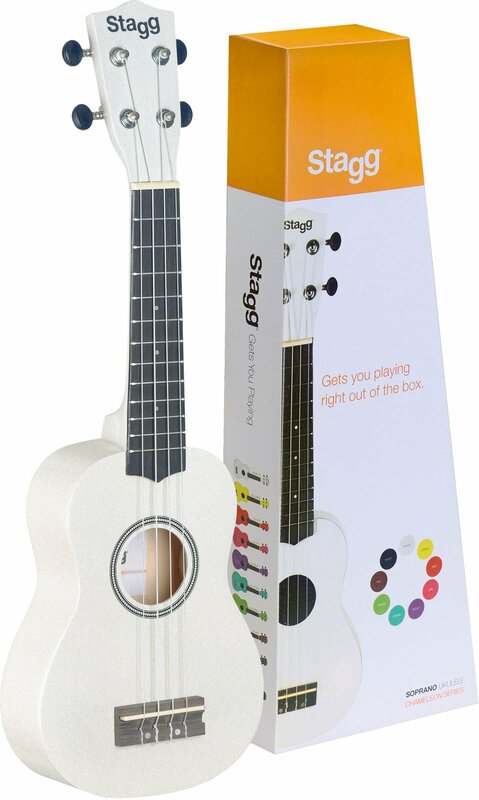 The Stagg US-White Soprano Ukulele from the great Belgian company Stagg is a good alternative and is a great way to get started in music. This is an inexpensive ukulele, a nice basic model that might be a stepping stone to a great career. Think of someone like Israel "IZ" Kamakawiwo'ole with "Over the Rainbow" . The ukulele brought the world to his attention.